It may sound biased to say that Walt Disney World is my favorite vacation destination—this is a Disney fan site and all. Biases aside, I’ve been carefully thinking about why a Disney vacation is my favorite. Obviously it’s unique in a lot of ways compared to other vacations, but what truly makes it so special? Read on to learn my 8 reasons why Disney is, and always will be, my favorite vacation spot. Depending on where you’re from, visiting Florida (or anywhere warm for that matter) might be your favorite vacation just so that you can escape the winter weather. Coming from New England, a winter trip to Walt Disney World is always a great idea to me. Even if it turns out to be jeans and sweatshirt weather in the parks, it sure beats shoveling snow at home. Disney is a great place to go to celebrate the holidays. Other vacations might not keep you in the holiday spirit while you’re away from home, but a trip to Disney will definitely immerse you in the holiday season. Whether you’re visiting Walt Disney World during Christmas, Easter, Halloween, or any other holiday, you’ll find a number of unique events, treats, and shows specific to that time of year. Disney is one of the very few vacations where there really is something for every member of the family. Whether your family is made up of thrill seekers, or shoppers, or toddlers, or all adults, the Walt Disney World Resort truly has something to offer every member of the family. Out of every vacation I’ve ever been on, Disney has had the best food, hands down. From quick treats in the parks, to classics like the turkey leg, or Dole whip, to fine dining like the Yachtsman Steakhouse or Victoria and Albert’s, Disney has a wide variety of dining options, all of which are delicious. The dining aspect of Disney also makes this such a unique vacation because of the variety of food offered. How many resorts can you visit where you can experience food from different cultures, like in World Showcase, or dine with your favorite characters, or maybe even experience afternoon tea in a flagship resort? Everyone has favorite Disney characters, and the only way to meet them is to visit one of the theme parks. There are so many places to find characters in the parks, that you’ll never have a problem tracking down your favorites—from character meet and greet locations, dining locations, dance parties, and spontaneous meet and greets, you’ll definitely come across some familiar faces on your next Disney vacation. Walt Disney World is a place that holds emotional connections for many guests, even before they actually arrive on property. 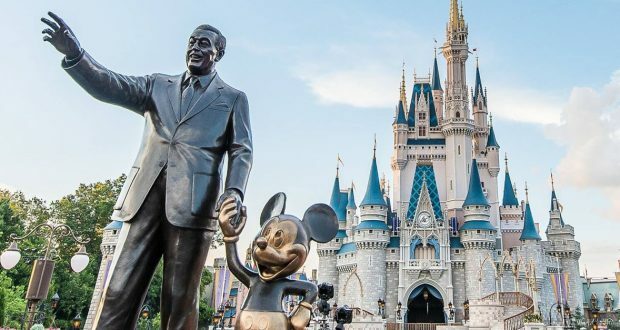 If you’ve ever seen a Disney movie, and felt some kind of connection to a storyline, setting, or character, a Disney vacation would be perfect for you. The nostalgia factor of experiencing a Walt Disney World vacation is undeniable. Chances are you value certain parts of the resort as your favorite experiences because they bring back memories from days gone by and you long to have those same experiences again. Even if you’re visiting the resort for the first time as an adult the nostalgia factor can still have an impact on you. Maybe you watched the Disney episodes of Full House or Boy Meets World way back when, so you’re vaguely familiar with the parks but have yet to experience them in person. Or maybe you’ve been getting excited for your trip every time you see a Disney commercial. The first time you walk down Main Street U.S.A., and take in the breathtaking view of Cinderella Castle, the nostalgia factor is pretty much guaranteed to hit. My number one reason why I love vacationing in Walt Disney World is the escape from reality. Each part of the Walt Disney World Resort is designed to immerse you in a magical world away from home. Only in Disney can you walk from turn of the century Marceline, Missouri, to the American Frontier, to a Storybook Circus. With each new change of direction you take on a Disney vacation, you are transported somewhere, new, exciting, and unbelievable, that you are simply unable to experience at any other time or place.